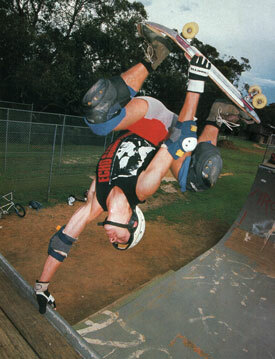 I first saw Biff skating the North Ryde skate park in the early 80's. 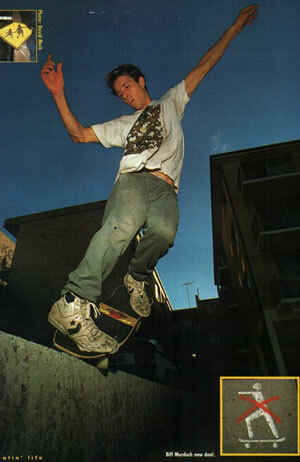 Him and the guys he was with were the first true skaters I ever saw. Dressed in black riding wide boards and trucks listening to punk/thrash music and getting 4/5 foot of air out of the 1/2 pipe, in those days North Ryde skatepark was just a 1/2 pipe, no flat bottom, they blew me away. Biff still skates as hard today as he did then. Ramps, bowls, street, downhill, a true skater.